All Nissan Carpeted Floor Mats are made of high-quality material and are custom-fit. Floor mat backing is designed to help position the mat in place. Available in Almond, Charcoal, or Chocolate colors. 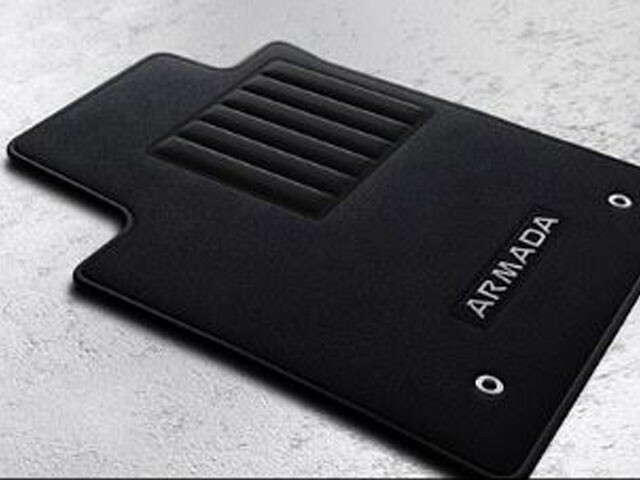 Driver's mat secures with a grommet hole/positioning hook system. Set includes driver, front-passenger, second-row, and third-row floor mats.